By Paul Specht on Friday, February 8th, 2019 at 1:25 p.m.
Redistricting chairman Rep. David Lewis explains proposed redistricting maps during a redisctricting committee meeting Wednesday, February 17, 2016 at the Legislative office Building in Raleigh. New districts were drawn without consideration of race. North Carolina isn’t exactly known for having fair election maps. In the last few years, state legislators have been sued multiple times, accused of drawing unlawful maps. And, in some cases, judges have ordered redraws. 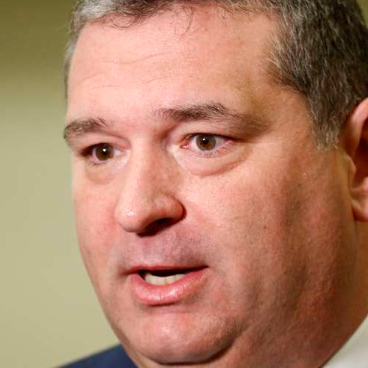 State Rep. David Lewis, who led map-drawing efforts as senior chairman of the House Redistricting Committee, once said, "I propose that we draw the maps to give a partisan advantage to 10 Republicans and three Democrats, because I do not believe it’s possible to draw a map with 11 Republicans and two Democrats." So Lewis made news during an event sponsored by The News & Observer’s opinion section on Jan. 30, when he said he’s willing to consider new ways for drawing the maps. North Carolina has been in court so much over election redistricting that it stands out from the rest of the country, Lewis said. "North Carolina and Texas have more (redistricting) litigation than the other 48 states, combined," Lewis said. His staff later said Lewis was joking. "We are pretty sure that Rep. Lewis said that as a joke during that forum, but it is broadly reflective of the litigation picture," Mark Coggins, a policy advisor for Lewis, told PolitiFact in an email. Turns out, he’s not necessarily wrong. It’s difficult to track redistricting lawsuits, experts told PolitiFact. Legal challenges are usually filed in separate courts, and there’s no widely accepted standard for defining which cases are credible. The National Conference of State Legislatures has an interactive map that keeps track of which states have faced legal challenges to their election maps in recent years. But the NCSL doesn’t have a list of active cases, according to Wendy Underhill, director of elections and redistricting. Levitt and the Brennan Center each keep lists of active redistricting cases across the country. They are similar, but not identical. 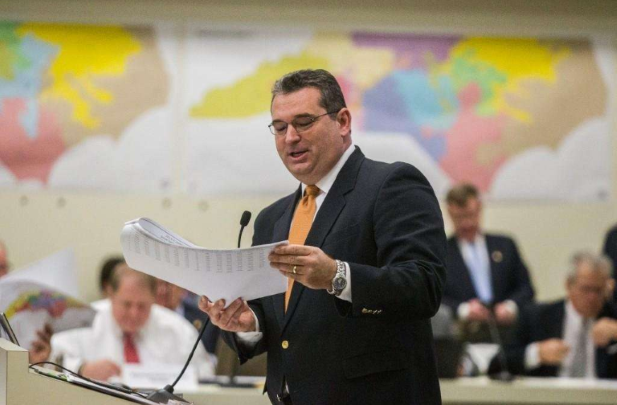 North Carolina faces four redistricting lawsuits, according to Levitt and the Brennan Center. They are: Rucho vs. Common Cause (over partisan gerrymandering), Rucho vs. League of Women Voters of North Carolina (partisan gerrymandering), Common Cause vs. Lewis (partisan gerrymandering) and North Carolina State Conference of NAACP Branches vs. Lewis (over racial gerrymandering). According to Levitt’s list, North Carolina and Texas are facing a combined five lawsuits, while there are 10 across the rest of the country. However, Levitt said, the Texas case includes five other challenges that were originally filed separately: MALC vs. Texas, Morris vs. Texas, Quesada vs. Perry, Rodriguez vs. Perry, and Texas Latino Redistricting Task Force vs. Perry. "They’re technically separate suits, but they’ve all been combined. So I don’t know whether you want to count this as one or six," Levitt told PolitiFact in an email. Texas has six cases if we count those individual challenges, giving the Lone Star State and North Carolina a combined 11 cases — which would be more than the rest of the country. So should they be counted separately? "The only issue remaining in all of (the Texas cases) right now is whether Texas should be put back under federal supervision going forward, not about challenges to the existing lines," Levitt said in his email. "That’s a (very) big deal, but I don’t know whether you’d consider it an active case about redistricting or not." What would Levitt do? "I’d probably lean in favor of counting it, since the reason it exists is because of redistricting," he said. Lewis said North Carolina and Texas have more redistricting litigation than the other 48 states, combined. PolitiFact began looking into this claim thinking it would be simple to count the redistricting lawsuits and then rate the claim on the Truth-O-Meter. But occasionally, the truth isn’t so clear. Depending on how we count the Texas cases, Lewis could be completely right — or he could be completely wrong. Experts certainly agree on Lewis’ overall point: North Carolina is dealing with far more redistricting lawsuits than most states. "North Carolina and Texas have more (redistricting) litigation than the other 48 states, combined." Stories by The News & Observer, "The legislative session ends ‘when we get Medicaid expansion,’ says an aide to Gov. Cooper," published Jan. 30, 2019; "Wake County districts struck down – but too late to be changed for the elections," published Nov. 2, 2018. Story by The Washington Post, "North Carolina’s gerrymandered map is unconstitutional, judges rule, and may have to be redrawn before midterms," published Aug. 27, 2018. Email correspondence with Neal Inman, spokesman for North Carolina state Rep. David Lewis, a Republican from Harnett County. Email correspondence with Eric McGhee, research fellow at the Public Policy Institute of California. Email correspondence with Daphne Meimaridis, program administrator for The Ohio State University Moritz College of Law. Email correspondence with Mireya Navarro, senior media strategist at Brennan Center for Justice at NYU’s law school. Email correspondence with Justin Levitt, a Loyola Law School professor, associate dean for research and operator of the "All about redistricting" website. Webpage, "Redistricting case summaries | 2010-present," on the National Conference of State Legislatures website. Webpage, "Litigation in the 2010 cycle," on the "All About Redistricting" website.